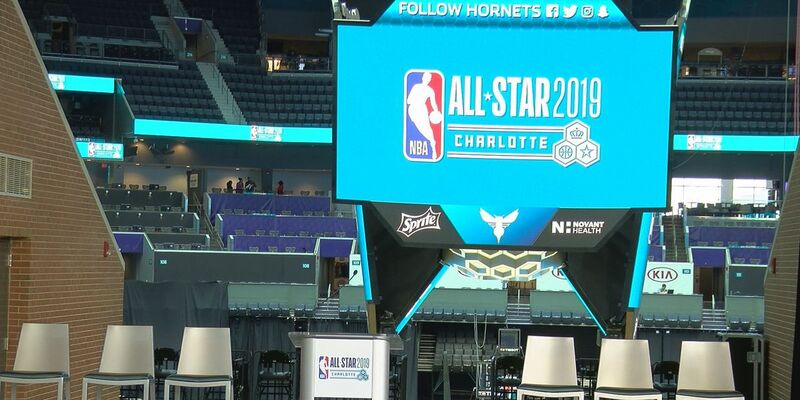 CHARLOTTE, NC (WBTV) - The team staff for the Golden State Warriors don’t seem too excited about coming to Charlotte for All-Star Weekend, well that’s according to Steph Curry. What was so important about that game?" If the Nuggets won, Denver would have the best win-loss record in the Western Conference, and would have the job of coaching the All-Star Game. That was something that the Warriors coaches apparently really didn’t want to do. “These dudes really don’t want to go to Charlotte,” Curry laughingly said in an Instagram video. “They don’t want to go to Charlotte! They’re hating on my city.” Everyone in the room busted out into laughter. But, this wasn’t the only sign that coaches didn’t want to work during the weekend. Warriors Head Coach Steve Kerr was seen seemingly cheering for the Nuggets Saturday during a press conference. “How closely are you monitoring this Nuggets-Wolves game?” a reporter asked. The reporter informed Kerr that the Nuggets were winning, to which Kerr gave a celebratory fist shake. “You guys gonna pop a bottle in there if Denver wins?” the reporter asked. “Maybe,” Kerr replied with a smile. The team staff might have a good reason to prefer vacation over coaching the All-Star Game, considering they coached it in 2015 and 2017.